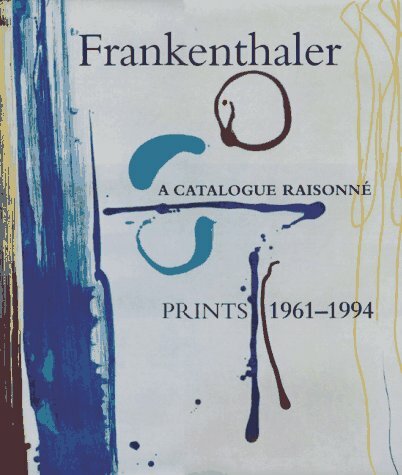 This catalogue raisonne, unlike most print reference works, describes in detail all extant and documented proofs of Frankenthaler's prints, recording measurements, colors, inscriptions, and the relationship of each proof to the final edition print. Ultimately, the trial, working, and other proofs constitute a journal of Frankenthaler's work, one that preserves and reveals the creative process as well as the effectiveness of the contemporary print workshop.<br />The author, Pegram Harrison, conducted numerous interviews with Frankenthaler as well as extensive research into her archives and those of the publishers of Frankenthaler's prints. Harrison's catalogue entries, which accompany the superb colorplates, focus on the technical description of each print and its proofs and provide commentaries on the process by which each edition print was realized. Suzanne Boorsch's comprehensive introductory essay places Frankenthaler's work in the context both of contemporaneous printmaking and the artist's own development over a thirty-year period.<br />All of Frankenthaler's 235 edition prints are reproduced in full color, as are more than seventy proofs; there are also an additional seventy black-and-white illustrations, including photographs of the artist at various workshops. This sumptuously illustrated catalogue raisonne is an essential reference work for collectors, dealers, scholars, and students, not only of Frankenthaler's prints but also of printmaking in the second half of the twentieth century. Suzanne Boorsch is associate curator in the Department of Prints and Drawings at The Metropolitan Museum of Art, New York.